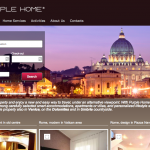 It's our favourite time of the week where we share with you all one of our wonderful clients' vacation rental websites! When it comes to marketing your property, a fully functioning website can really have an affect on booking calendars. 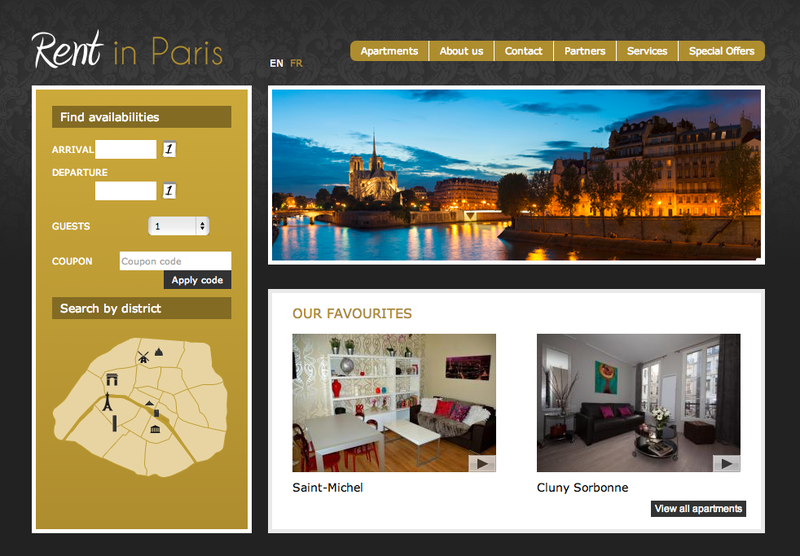 Under the spotlight this week is Rent in Paris who provide delightful Holiday Apartments in Paris. Launched in 2001 by Denis Harlé d’Ophove, Rent in Paris derives from his love of the city. Through their range of high quality furnished rentals and dedicated team, they aim to provide visitors with a professional service whilst discovering Paris. 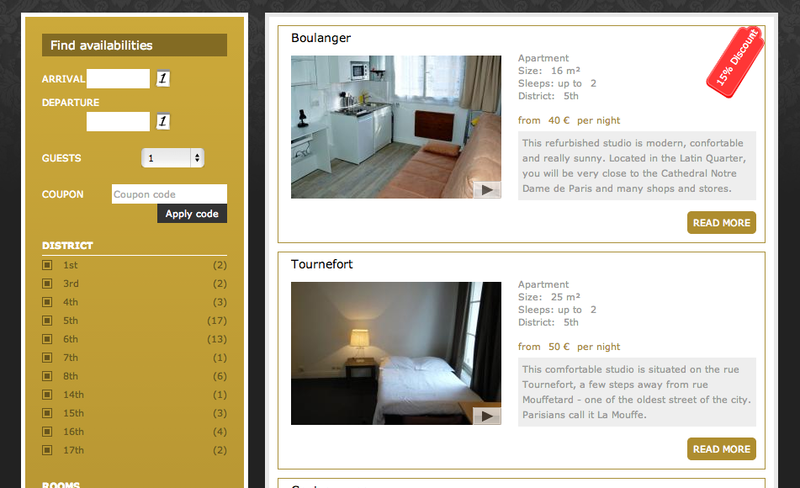 Rent in Paris have gone for a very basic website layout and kept the homepage minimalistic. 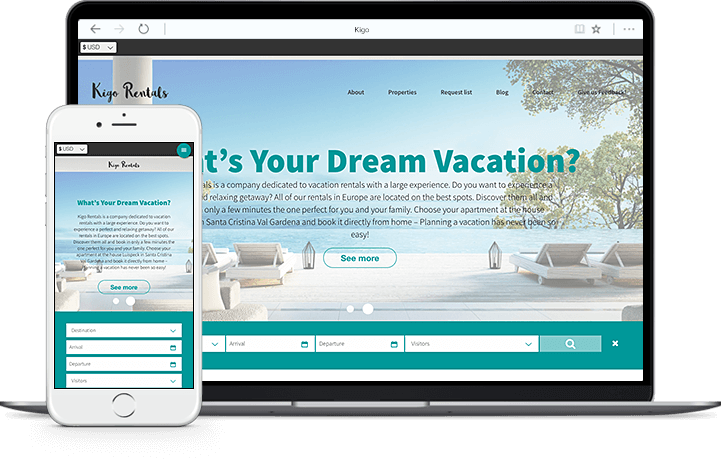 While it is important to provide the potential guest with plenty of information about your vacation rental business, it is equally as important to refrain from overwhelming the website visitor with too much information. Rent in Paris have a great balance as they have kept scrolling down the homepage to a minimum, which will work to attract more attention to the informative links on the top bar. The predominantly black and gold colour scheme has a luxurious and inviting feel to it. This is important as it will reinforce business credibility rather than cheapen the Rent in Paris brand. Also, the subtle Baroque style background and the simple logo adds a nice touch to the design. 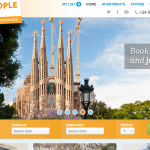 After the homepage, the reservation system is crucial to encouraging holiday goers to make a booking. There is nothing more frustrating for the website user and damaging to the vacation rental brand than a broken booking system. Rent in Paris have recognised this need and have made sure the reservation process is straightforward. Each apartment listing page includes plenty of information to make it easier for the guest to decide on their desired property. Whilst they are going through the selection, they can add their choices to a list which appears on the inquiry page. From the simple form, the booker can then define the stay by check-in/out date and number of guests and order the properties by preferability. Allowing the guests to make multiple choices will increase booking chances. 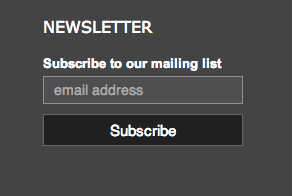 Our favourite part of the website has to be the option to subscribe to Rent in Paris' mailing list. 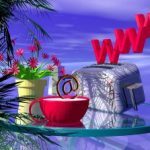 Email marketing is great for connecting with past or potential guests and promoting any last minute bookings. 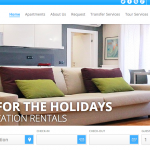 If you're looking for a Vacation Rental in Paris or would like to network with Rent in Paris, be sure to take a look at their website.